Oh data collection. It is oh-so-important and yet given all the responsibilities those SLPs working on the schools have, it can be a daunting task. I mean, between all the IEP meetings, IEP paperwork, SST meetings, collaborating with other professionals, consultation, answering emails, planning therapy, implementing therapy, doing assessments, returning phone calls, staff meetings, bus duty…there is seriously barely time to use the bathroom and many of us eat lunch at our desk as we read our email (I know I have!!). Add the fact that within our therapy groups, we often have 3-5 children and it is common that they are ALL WORKING ON DIFFERENT GOALS. How on EARTH can be take data, analyze the data, and use the data to plan and implement therapy? Why data collection is important: How do you know if your student is making adequate progress in therapy? Regular education teachers are able to collect data on their student’s performance through classwork, homework assignments, and test scores. This data is important because a teacher can quickly see, based on the child’s performance on these tasks, if the child is making adequate progress or if the child may need some kind of individualized instruction. Data will tell you if your interventions are working or not. If you do not take data, you have no objective measure that your intervention is benefiting the students. I take data nearly EVERY session on every child. The exception to this, is if I am using the session just for teaching the concepts. For example, I do not take measurable data on days that I am teaching placement on the /r/ (which sometimes can take several weeks) or days that I am teaching the meaning of several basic concepts, etc. On these teaching days, I will write notes on my Monthly Progress Notes Sheet regarding what we were teaching, what methods were working (if working on articulation placement), etc. I don’t take data on every turn/trial. I will try to take data on 1-2 trials per session per student. Now, it is time to take the raw data, determine percent corrects, and then record the data results into my Data Progress Sheet. This step requires scheduling in a time every day/every other day, or once a week (depending on how you can manage this) that is consistent so that you are sure to do it. THIS IS IMPORTANT! I had a “prep” time that scheduled in daily and used twice a week last year to do this. I also had weekly testing time built into my schedule so I could use this time also if I didn’t have testing planned. How to use this data sheet: It’s simple! When you convert your raw data into percent correct, simply put a dot on the line that corresponds with the data. I also will write the actual % above the dot if they are not a multiple of 5 (like 38 or 52). Connect the lines from day to day, which will provide you with a simple line graph. You don’t have to take data every session, you can start by committing to once a week and recording those days only into your chart (or once every two weeks) whatever works for you and your schedule. Once you start logging your data, you will be able to take ONE look and know how your student is progressing. Has the child been performing at 60% for three weeks? Maybe it’s time to change something up (instruction, reinforcement schedule, etc). 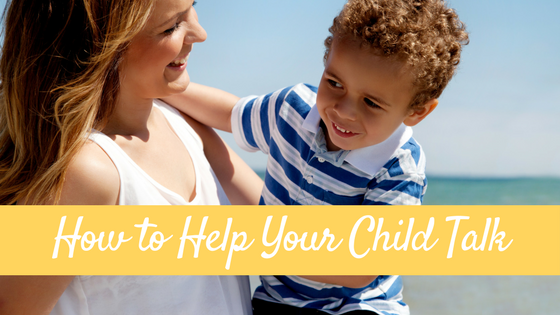 Has your child been performing at 90% for a month? Maybe its time to think about increasing the difficulty of the task (or maybe even dismissal??). Another awesome thing about logging data on this sheet? Let’s say a parent calls you and wants to stop by tomorrow and discuss her child’s progress. All you have to do is pull out the sheet and show her. 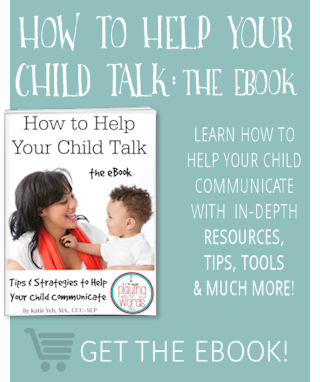 You can use them at IEP meetings, team meetings, when meeting with teachers, to show them exactly how the child is doing in regards to his/her IEP goals. You can even copy them and send them home, if you want. So THAT is how I take, log, and USE data in my sessions. If you think you may want to try using my Data Progress Sheet, feel free to download a copy HERE. 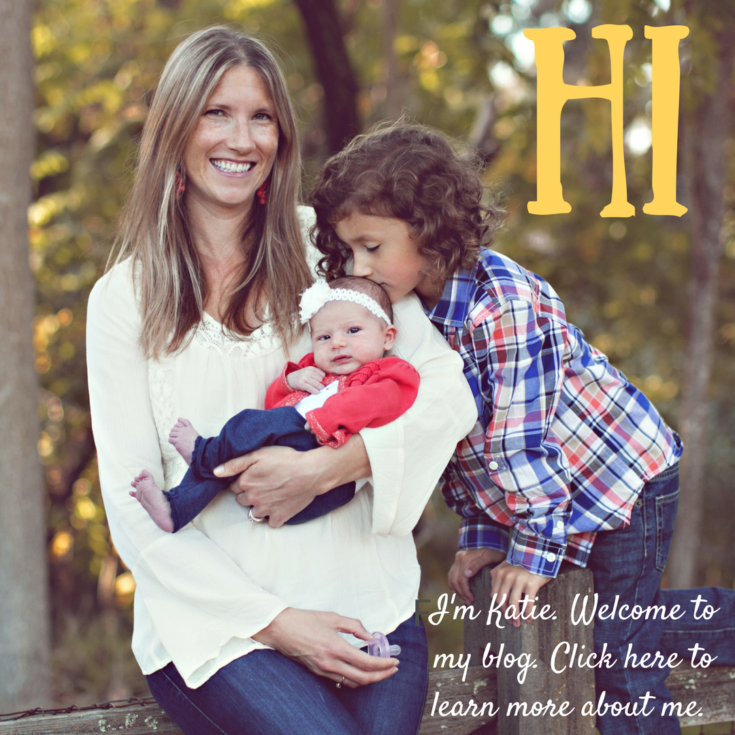 If you use it, PLEASE drop me a comment or an email and let me know how its working for you. Also, if you have any tips on data collection I would LOVE to hear them! Leave me a comment! How do you type on your freebie??? I have Adobe Reader…can’t type on your wonderful sheet. Do Not want to hand-write all those goals…can you reformat it in word or something I could write on? Or tell me how to type on this one. I really like it! Lisa, great question…let me talk to my husband about the best way I could do this for you! On my iPad I have an app called PDF-Notes. It lets you write on PDF forms. I tried it with the ones posted here and it works. Did you find using the pdf app was efficient and useful? Cindy AWESOME!!! I’ll look into that. Thanks so much for letting me know! Thanks for the great info! This is def a trouble spot for me! Do have a quick question for you. You indicated that you only take data on 1-2 trials per child. Is that what you base your percentage on. For example if they get 1/2 then it’s 50%? Not sure if I read it completely. Thanks again!!!! That does help thanks! I’m in a middle school so practically all of my goals are language-based. Unfortunately in groups of five getting in more than 5 questions per student a session is a stretch. Plus there are so many variables as the work is often more abstract in nature. Completely understand and agree with the rationale behind data, just strugging with gathering accurate data lol! Thanks for sharing! Suzanne, I feel you!!! believe me, data on the language kids is NOT easy and I have been slowly learning more how to make it work. Your data sheets are clear, concise, and look user friendly. I have been taking data with my ‘artic’ students for years and find it tremendously useful to track there progress. I agree with other posts that taking data on language goals in a group of 4-5 students is daunting. First because they are all working on different objecives and secondly because there are fewer responses in a 25 minute session. How do you set up tasks and take data when there are multiple goals? For example, Johnny has to answer ‘wh’ questions, Sara and Susie are working on concepts, and Billy is working on grammar structures. If they respond 5-10 x’s in a session, it’s hard to get enough data. Do you see students individually to collect more data? Ashley, thanks for the compliment 🙂 Regarding my sessions, whenever I can I plan activities where I can target all their goals within the one activity. With these kids in your example, I could do a barrier game with the children. You didn’t mention if the concepts or receptive or expressive so let’s assume they are receptive for now. I will first give the whole group 10 directions to follow using the concepts that Sara and Suzy are working on. I will take data on how they follow these directions with the concepts and note any errors to target next session. Next, I will have Billy provide the group with 2 directions, then I will ask Johnny 2 “wh” questions. If Sara and Susie are good at asking “wh” questions, I may also have them ask Johnny the questions. Then I will have Billy provide two more directions (again, with proper grammar) and then again I will ask some “wh” questions and we will continue to take turns like this. To help keep organized, I can make up cards with the names of the concepts that Sara and Suzie are working on, so that Billy can use those concepts in his directives. Another way to set up an activity, if you want straight drill for data (which maybe you could do every other week?) Is to have a set of picture scenes for Billy to describe using grammar and Johnny to use to answer “wh” questions, a st of cards with the concepts Sara and Suzie are working on along with a set of figurines/blocks to manipulate. get yourself a sand timer (I use one minute, 1.5 minutes, or two minutes depending on the group and goals) and then set the timer and drill the child for that many minutes and see how many responses you can get. Then it is the next person’s turn. The other children, while waiting their turn, could be doing any of the following: reading a book they brought from class, working on a worksheet you provide them that targets their goals (this would provide you more data), drawing pictures, cutting out materials you need to laminate for another activity (I find many kids like to do this for me…help with things while waiting their turn) and I also allowed one of my groups last year (an artic group tho) to work on their homework while they waited their turns. They picked homework over games and it was FINE with me! I hope that makes sense. I kinda hate worksheets but I will also use them to take data for my language kids, assuming they can read well enough to do the worksheet. I usually end up making them myself or finding them online somewhere. Also if you CAN schedule an open time (especially if you can work a 3-1 schedule) this would be IDEAL for helping get more data. Tracy so glad you like it!!! Pleas let me know how you like it. I really LOVE using it. I just want to say how great it is to hear some open and honest talk about data collection. When you said that you did not take data your first few years and that scheduling gets easier I felt a sense of relief! 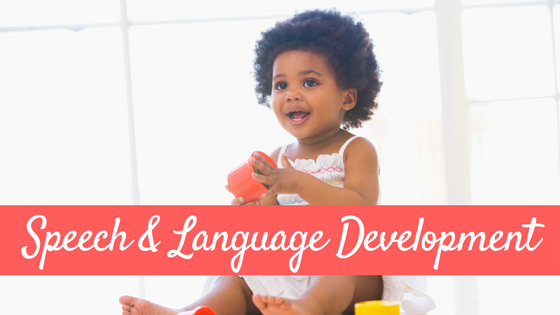 I am a clinical fellow in a special needs preschool and data collection with little ones is very difficult… Especially with language. I do fairly well with my cycles, but language is tough. 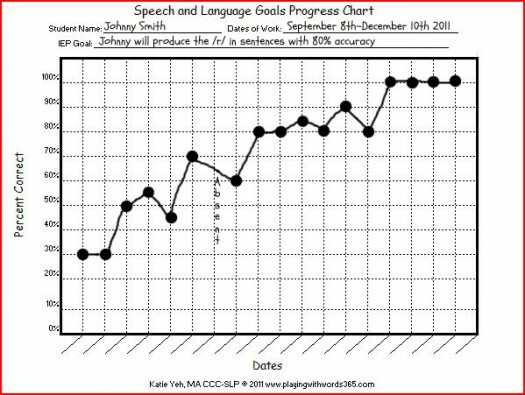 When you are graphing your progress with cycles, do you mark data on the phonological process? Or the specific phoneme? Love your website! Keep the scheduling and data collection information coming. It is much appreciated. Hi Jacqueline! Yes, the first couple years are the HARDEST!! Regarding using the Cycles approach..it is specifically for the processes so I basically use my cycles chart to keep track (you can find it in my Freebie section) of which cycles I have done and then as far as data for the cycles…I typically just take simple raw data and keep in on my monthly notes chart (also in my freebie section). 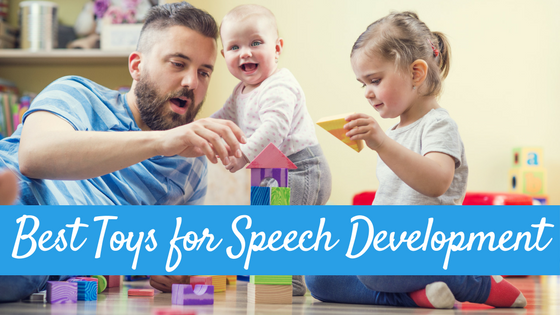 And Jacqueline I am thinking of starting a Speechie Saturday or something soon where posts on Saturday will focus on speech topics like this and will include guest posters…..so stay tuned!! Here is a PDF form filler program, which allows you to write on, save, email, etc. this ubercool pdf data sheet. Thanks so much Teri for the link!! This is my second semester in grad school for SLP~ first semester in the clinic~ your data sheets are helping me out so much and giving me great ideas!! Thank you so much!!!! I love your data sheet. I am very intrigued with the idea of using sticky notes. (I have long thought the mailing labels were too expensive.) But, I do wonder if you’ve ever had a request for your raw data? and are you confident that transferring your raw data to this chart covers you in the event of an Medicaid audit? I REALLY love this idea! I think I’ll have to scale down on the number of IEP goals! Sharon, I was always told (by my directors) that we didn’t have to keep raw data…but that could vary so I would check with your director/supervisor. No I have never been asked for my raw data….just the data. That said, you could keep raw data in a folder somewhere in the event you need it but I never have. That really is a GREAT question though! Regarding Medicaid, I only worked at one place that billed for it, my other two districts did not, so I really have no experience with that. I really like your data collection form! I was wondering for language therapy if you use the same therapy materials to take data collection on or do you change the therapy materials each session? I feel like I am using such a variety of therapy materials to target a skill that I’m uncertain if it’s giving an accurate representation of the student’s progress. Thanks so much! Hi Tonja. 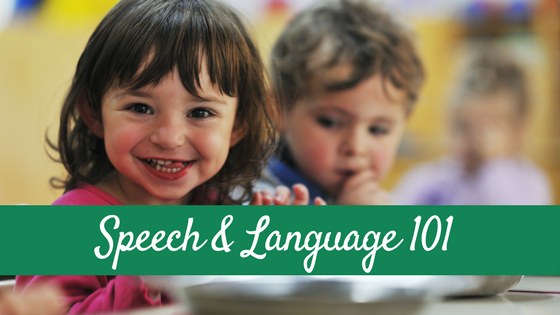 For Language therapy it can get tricky, but if you keep your goals VERY specific, the materials shouldn’t have too much of an effect on the progress. If you are targeting WHO questions and one set of materials is yielding lower results, it will tell you that those materials are actually too high level for your goal (again, keeping your goals very specific). 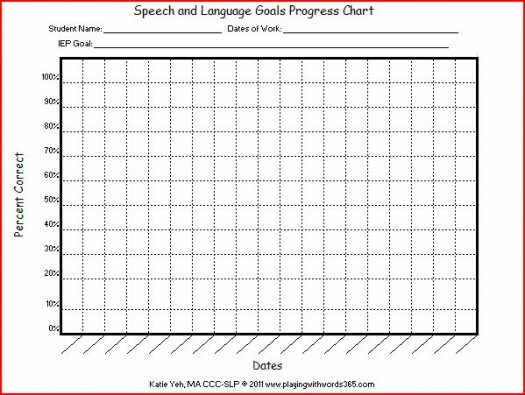 And reminds me of a good point that I did not bring up n this post (since I was talking about the sheet and not the goals) and that is that sometimes I have to break the IEP goal up into smaller objectives…so I will write the IEP goal AND the objective on the data sheet…then when it is met go on to the next objective. I think this is hard when we are in the schools and we are writing IEP goals that, in reality, need several small objectives to meet, yet we don’t write those in since we are looking at the end result in a year. Like I might have a goal for a student to produce the vocalic /r/ in all positions of words at the word level BUT I will actually target each type of /r/ at a time and then move on. Does that make sense? Also I always note what materials I am using on my monthly progress sheet so if I see some days are lower I can look to see if my change of materials could have slipped the kid up. As a cross categorical teacher I have a tremendous amount of goals and data that I collect. Can’t wait to try your form to make a graph! Thank you. I am not able to edit the form though. Can you please advise! Can you explain how to plot data? Is there a way I can get a copy of your chart. I noticed in the comment section that it is a “freebie” but I couldn’t see on my phone how to get it. This is a great article. Thank you. I already use something similar to your progress chart to display the quantitative data. My question is if you or any one in the speech community uses graphs to display the qualitative data – the amount of support or prompts a student needed during each session. Is it possible to get a copy of your data sheet in a format in which I can modify the sheet (e.g., I have a private practice so the IEP section isn’t relevant(. Hi, Katie! I’m a 5th grade interrelated teacher in Atlanta, and I have been using your progress monitoring graph template since the beginning of the 2017-2018 school year for my students’ data collection and progress monitoring. The template is a breeze to use and modify when needed, and it definitely makes it easy to track students’ progress!